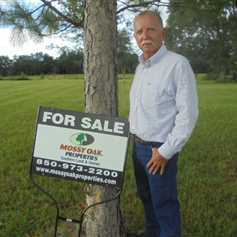 David, a Florida native has over 30 years experience in agriculture related business. He has been in the real estate industry for more than 15 years. His background in agriculture, combined with his love of all things outdoor, led him to Mossy Oak Properties. When he isn't selling property, he is leading Suwannee High School FFA Alumni. David is married to Becky, an elementary school teacher; their daughter Maggie, is a FFA nerd. They are all active in Westwood Baptist Church in Live Oak, Florida.